Key returners: Switzer, Kenli Nettles (Jr, Arthur), Kiah O'Neal (Sr, Rock Island [Alleman]), Natalia Garcia (So., Bloomington [Central Catholic]), Jacklyn Simms (Jr, Fairfield), Rachel Jackman (Jr., Altamont), Jillian Hubbard (Sr, Maroa-Forsyth), Rileigh Rennecker (Jr, Petersburg [PORTA]), Janiya Collins (Sr, Madison). Outlook: It will be a crowded field of solid returners. There were 22 state finalists last year and 18 of those girls are back. The name that stands out first and foremost is Daelin Switzer. She has been a top figure in the state in this event since middle-school. Two seasons ago Switzer took home top honors at the AAU Nationals for her age group. 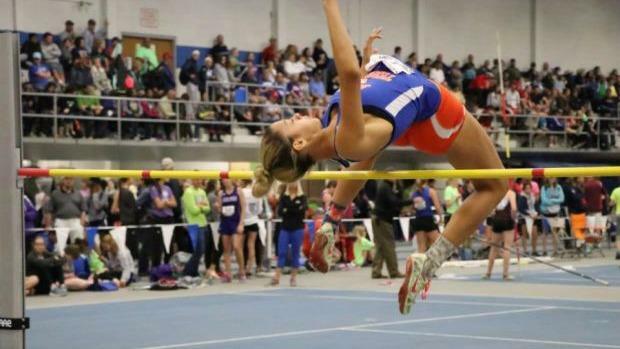 She is also a three-time state champion who has one more season to reach the 6-foot barrier. Kenli Nettles is a multi-talent event athlete like Switzer. Although she took home the second-place medal in Charleston last spring, her personal best of 5-8i is the second best clearance returning across all classes and conditions.